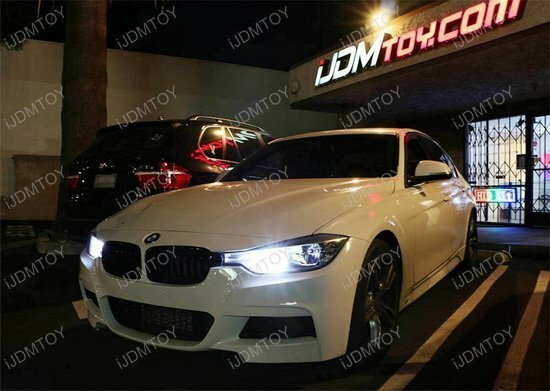 Q: Why does the LED not match with my stock bulb when I'm trying to install it for my BMW F30 3 Series? 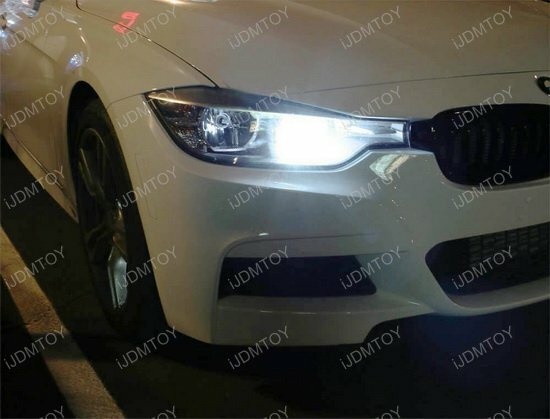 A: For the BMW F30, there are three bulbs located in the same housing: the bayonet 64132 bulb for parking, H7 halogen bulb or high beam, and PW24W bulb for daytime running light. These bulbs are located in very close proximity, so there is a chance that you have pulled out the wrong bulb. 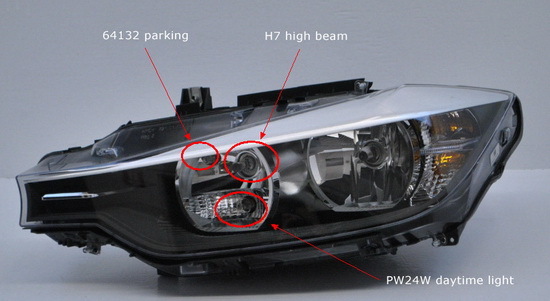 The PW24W daytime light is found at the bottom of the trio, so please double check the base to make sure your stock bulb matches with the new PW24W LED daytime running light bulb. 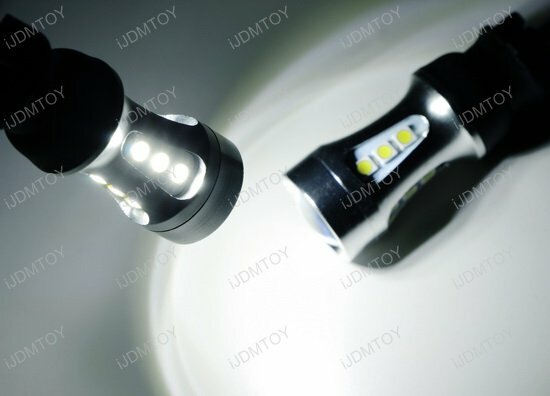 Q: Do CAN-bus Error Free LED bulbs guarantee to work for any European cars? A: No, The CAN-bus Error Free LED bulbs do not guarantee to work for all European vehicles. You can think this like Tylenol. It works for most people to cure their headache, but might not work for everybody. Even for the this same person, it might not work every time. Please always contact us or check the known compatible vehicle list to ensure the fitment before buying. The known compatible vehicle list is created base on our long testing to ensure their correct fitment and no-error functioning. Q: Do you have an installation demo? A: This symptom is completely normal. 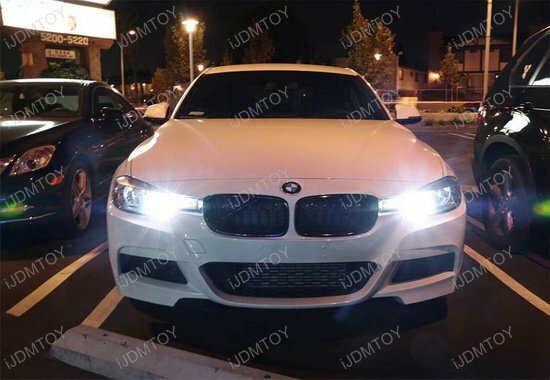 When installing any LED bulb for an European cars such as Audi, BMW, Mercedes-Benz, Porsche, Volkswagen, etc. This temporarily flickering is caused by European cars' on board computer sending a routine check electrical impulse when first start the engine to all the bulbs and lamps to make sure they are not burnt out. 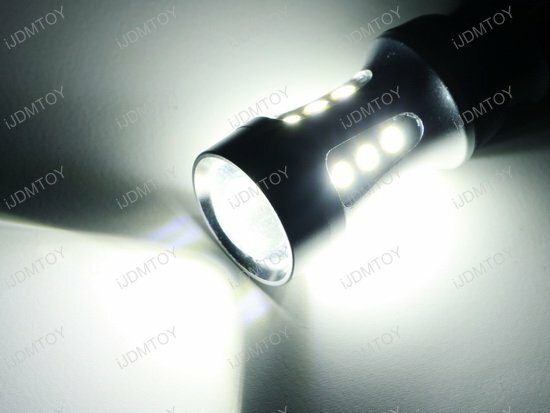 Since LED bulb is super sensitive to power, so it will cause the LED bulb to respond and light up. One of the best ways for other drivers to take notice of you is to brighten your daytime running lights. 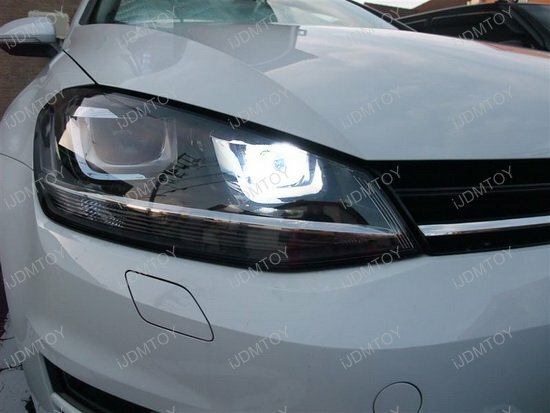 If you are looking to do just that, look to the extremely bright xenon white error-free LED DRL bulbs! 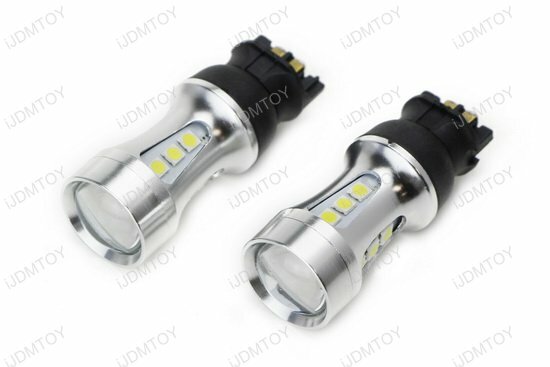 This is a pair of LED daytime running light bulbs made to fit in BMW and Volkswagen vehicles. 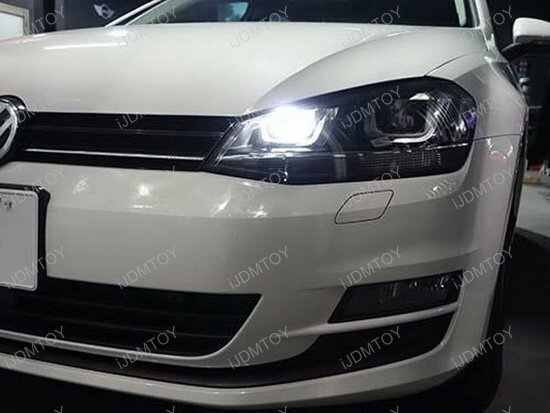 Each LED DRL light bulb is powered by 18 pieces of 0.5W xenon white 3030-SMD LED diodes, which make these LED bulbs an ideal upgrade over your stock daytime running lights. Easily replace your OEM PW24W DRLs via plug and play or direct replacement action. 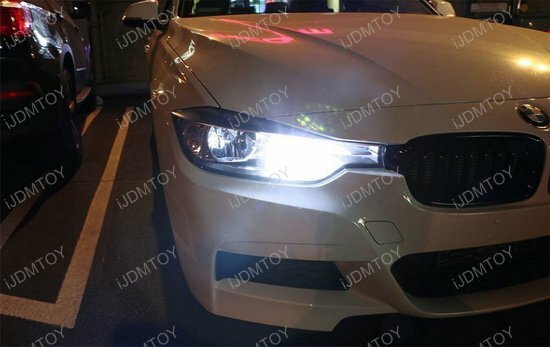 These xenon white LED daytime running light bulbs are error free so no bulb-out messages will appear on your BMW's or VW's dashboard. 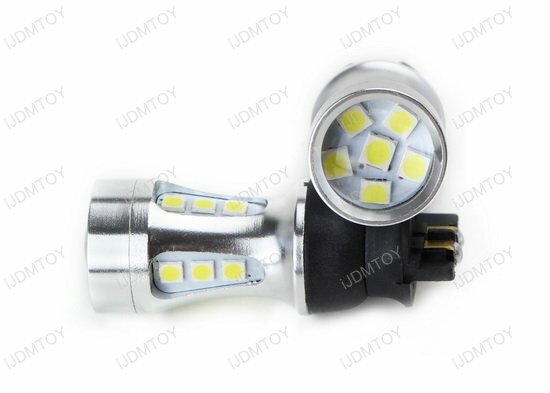 Please note that the LED bulbs will flash a few times while you start your engine. This is due to the onboard computer scan which is a normal occurrence.